Another Super Deluxe edition in Spain? 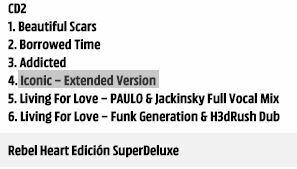 According to Media Markt Spain the “Rebel Heart” Super Deluxe edition lists (on CD2) “Iconic” – Extended Version instead of “Graffiti Heart”! Unfortunately, once again, you can’t order these through the webshop from foreign countries. According to Digital Spy Madonna will sit down with Jonathan Ross for a special taping next week. 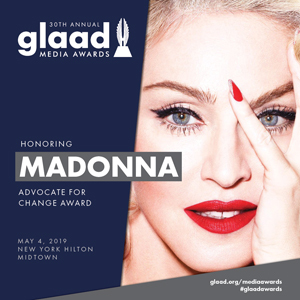 She will discuss Rebel Heart, as well as perform two songs. Madonna RAW The Early Years MTV Special from MadonnaUnderground on Vimeo. REBEL HEART Official Release Party at MADONNA BAR! 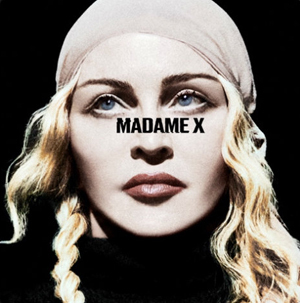 MADONNATHON 2015 : NYC ” LIVING FOR LOVE ” RELEASE PARTY Feb.20th! 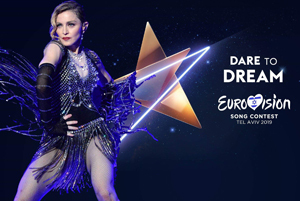 The interview that Madonna recorded with Europe1 will air on February 27 at 7:45am local time. Still no confirmation whether M will appear on Le Grand Journal early March. Hope to have more information soon!